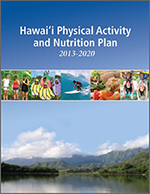 CDPHPD’s vision is Healthy People, Healthy Communities, Healthy Hawaii. To achieve our vision, CDPHPD utilizes the social-ecological model to impact the public’s health at every level of society. It is based on research which shows that behavior change is more likely to endure when we address the individual as well as the environment where the individual lives. Leadership. 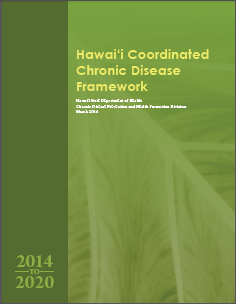 Role-modeling success and maintaining a public profile within DOH, statewide, and nationally. A Public Health Approach. Utilizing population-based strategies for policy, systems, and environmental change. Evidence-based Strategies. Driven by data, research, and evaluation. Innovation. Applying creativity and resourcefulness to develop new best practices. Health Equity. Respecting diversity and promoting social justice. Capacity Building. Promoting learning opportunities, training, and professional development among staff and stakeholders. Community Empowerment. Educating the public and providing tools for behavior change. Collaboration. Achieving more by working through partnerships. Accountability. Ensuring transparency, open communication, and personal responsibilities. Sustainability. Supporting and maintaining progress to achieve a lasting impact.